When someone is diagnosed with diabetes, it affects the whole family. Whether you're caring for your child or supporting an adult with diabetes, we can help you switch on greater flexibility and a routine with fewer needles. Many parents whose child is diagnosed with Type 1 diabetes wonder: 'Why is this happening to my child? ', 'How can they continue to live as before? ', 'How can I best help?’ Often it seems there are more questions than answers at the beginning. One of the most important things to parents is the health and wellbeing of their children. For a child with Type 1 diabetes, the aim of diabetes therapy is to reduce the risk of developing long-term complications caused by high glucose levels, avoiding hypoglycaemia and ensuring normal growth and development both physically and emotionally. Read the real-life stories of other parents of children with Type 1 diabetes and discover how they have found their way to better control. Fewer injections and easier management help family to care for children with diabetes. 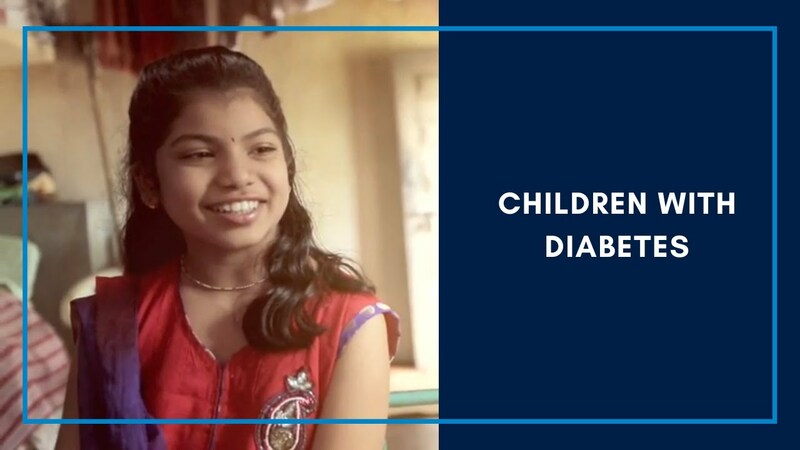 Ankita was diagnosed with Type 1 diabetes in 2009 when she was 9 years old. After being on medication and insulin injections with frequent highs and lows, Ankita switched to insulin pump therapy. Discover how life with an insulin pump can give you and your family greater flexibility. Find out how to stay in control with an insulin pump and still have fun like Lenny.